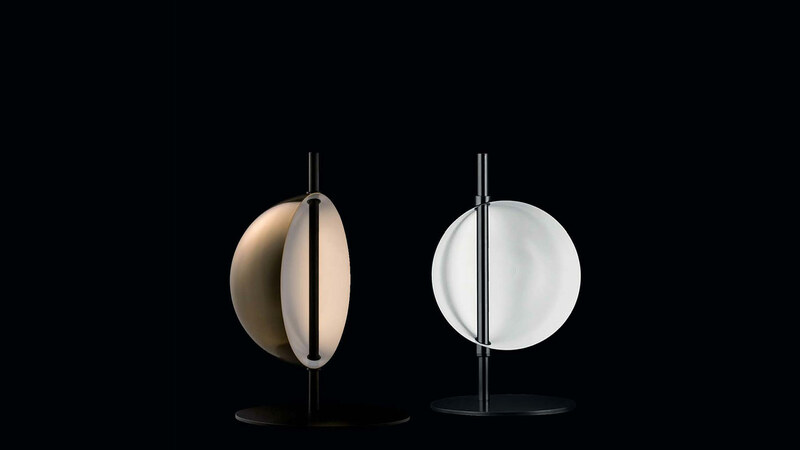 Making his debut with Oluce, Victor Vaisilev proposes the SUPERLUNA lamp project that was inspired by a personal reflection on Vico Magistretti’s work, with his ability to develop iconic shapes to enhance the potential of the light source. Now that LED lights have revolutionised the world of artificial light, making it possible to reinvent luminaires starting from their source, Vaisilev proposes a family of lamps – available in floor, table and wall lamp versions – that originate from the desire to give a magical aura to an extremely technical light, by sizing the lamp parts starting with the LED footprint. 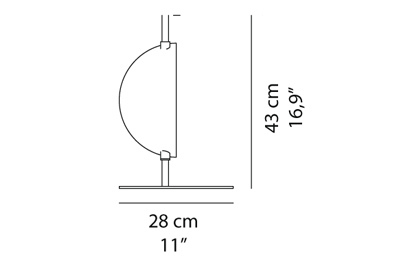 The slender metal rod of the SUPERLUNA lamp conceals the electrical components and it hosts the light source: the LED opens out onto the stem in line with the semi-spherical shade that reflects its light by rotating on its own axis. In this way, the echo of the perpetual movement of celestial bodies is enhanced by the small luminous core contained in the structure of the lamp itself. 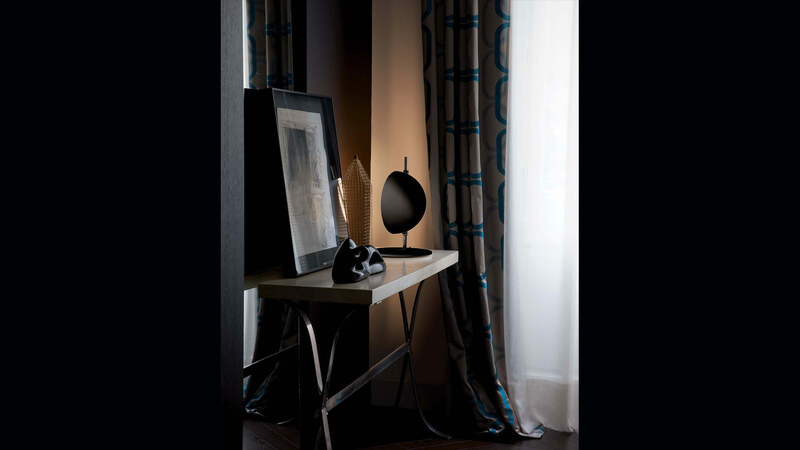 Table lamp with indirect and reflected light and one rotating half sphere, to direct the light, in opaque white painted metal with metal chrome-plated stem. It’s available a second stylish version of Superluna in black, with the inner curve of the shades in white. Low voltage LED lighting.